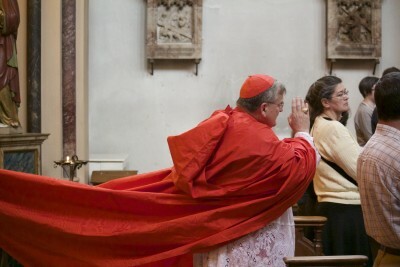 Last Wednesday, His Eminence Raymond Leo Cardinal Burke, Patronus of the Sovereign Military Order of Malta, was present for Vespers in our church for the Order. 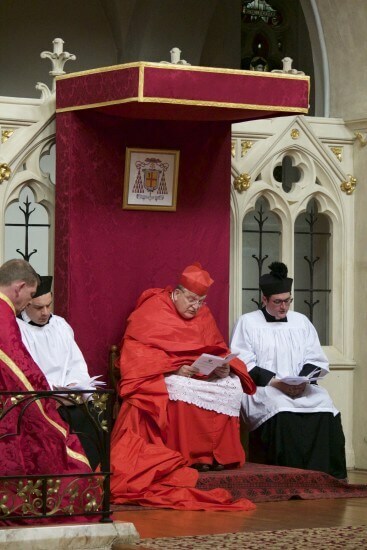 His Eminence had earlier in the day met members of the Companions of the Order of Malta, who do wonderful work in Oxford with their homeless Shower Project, soup runs, visiting the sick and elderly and other corporal works of mercy. Cardinal Burke was greatly impressed by the Companions and warmly encouraged them in the twofold ministry of the Order of Malta: the care of the poor and the defence of the Faith. 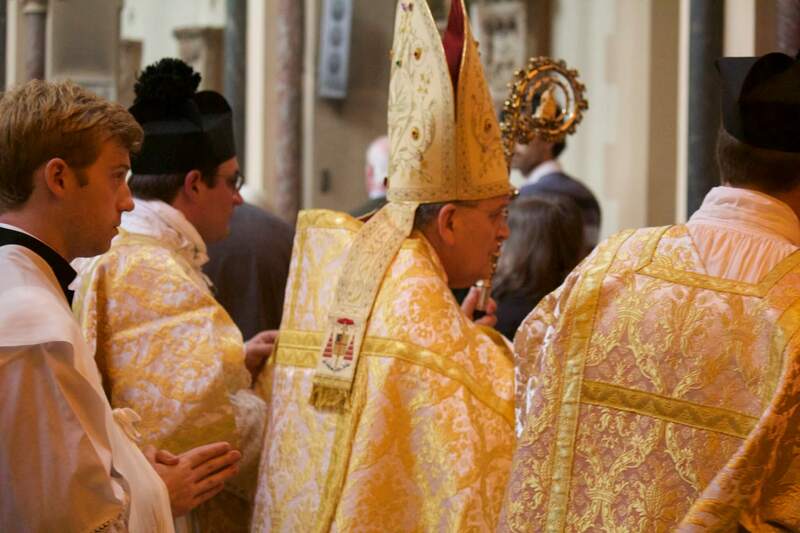 The Vespers was that of the Octave of Pentecost, and the four coped cantors were an Oratorian, a Jesuit, a Benedictine and a Dominican - which sounds like the beginning of a joke about going into a bar, but here is a manifestation of the rich variety of Catholic life in this city. 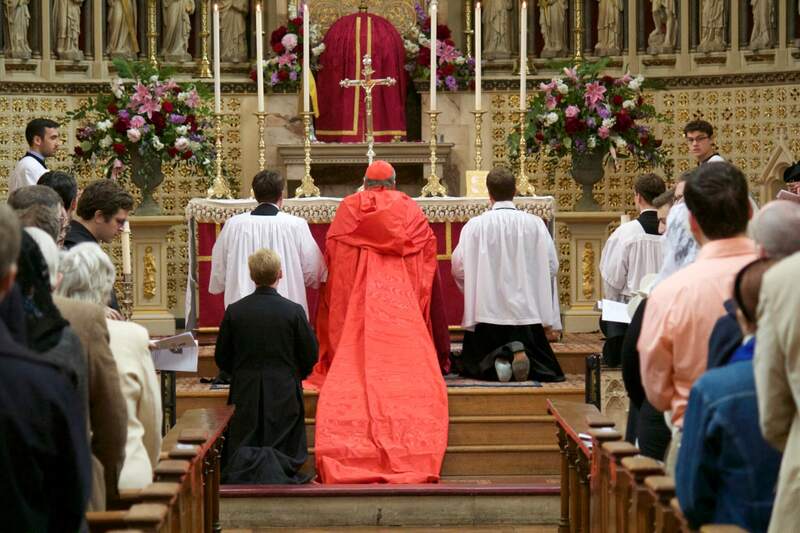 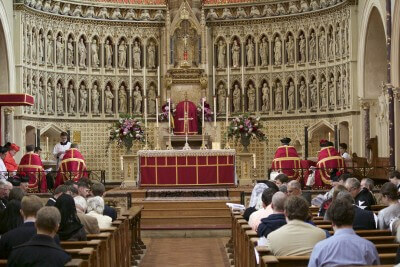 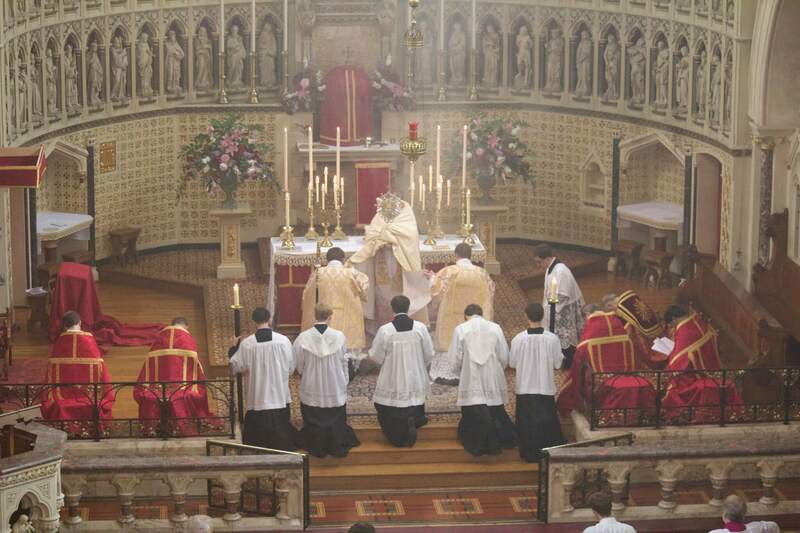 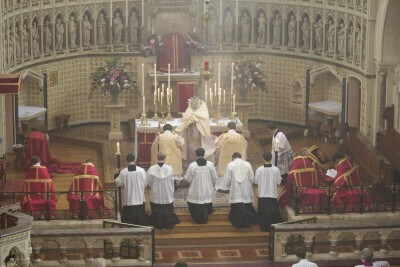 After Vespers, the Cardinal gave Benediction of the Blessed Sacrament, before going on to deliver a lecture at the University Chaplaincy on "The Legacy of Pope Benedict XVI". 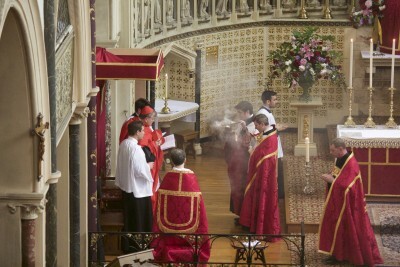 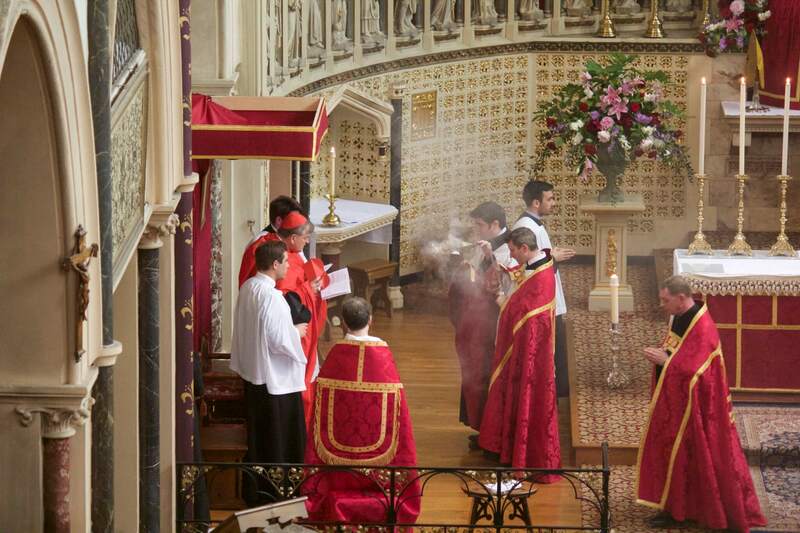 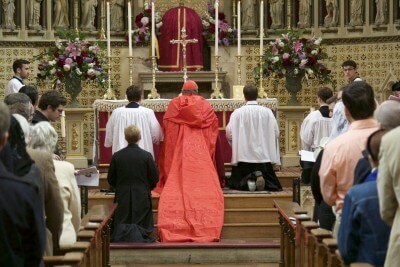 Photographs courtesy of the Oxford Companions of the Order of Malta.